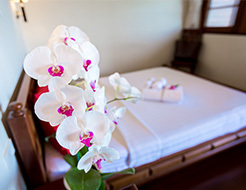 Room Rates | Choose from 8 rooms spread over three floors. 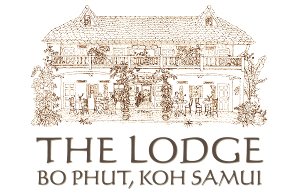 The Lodge was designed in the style of a traditional up-country Thai/Chinese shop house with dark hardwood floors and furnishings, breezy balconies and planted eaves. 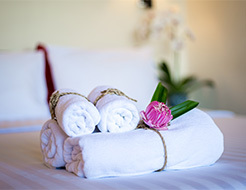 The property’s modest but appealing guest rooms and communal spaces offer an attractive, relaxed vacation environment right next to the soft sands of Bophut Beach. 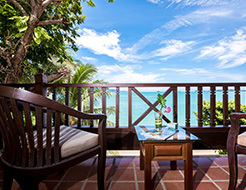 Choose from 8 rooms spread over three floors – all with private terraces and balconies offering stunning beach and ocean views.